This 10-day self driving package includes the famous Snaefellsnes Peninsula and the classic Ring Road route. Visit the main sites like Skaftafell Park, Lake Myvatn, Dettifoss waterfall and more. Drive through changing landscapes and dramatic scenery across the country that will explain why Iceland is commonly referred to as the "Land of Fire and Ice"
After breakfast, your journey begin as you drive across Hellishedi Hill to see the geothermal activity occurring. You will visit Seljalandsfoss Waterfall on the Southern Coast, and the stunning Skogafoss Falls surrounded by the giant Eyjafjallajokull and Mydalskojull glaciers. Head towards the southern point in Iceland to see the nesting site of many Nordic seabirds, including Puffins. Before ending the day in Vik, you will stop at the Reynisdrangar basal sea stacks and walk along the black lava sand beaches and see the unique rock formations. Today, you will pass by the largest lava field in the world, Myrdalssandur, the historic town of Kirkjubaejarklaustur, and Skaftafell National Park. 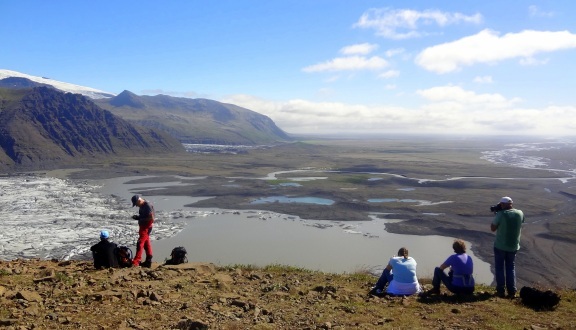 Skaftafell Park has many walking routes for you to enjoy the magnificent natural scenery and a view of the largest glacier in Europe - the Vatnajokull Glacier. In the afternoon, visit the famous Jokulsarlon glacial lagoon where many movies have been filmed here, including James Bond. You might spot seals here along with huge broken icebergs that drift along the lagoon.Check in to your next hotel in Hofn. After breakfast, you will drive through the Almannaskard road tunnel to the region of Lonsoraefi, surrounded by extinct volcanoes, rivers and glaciers. 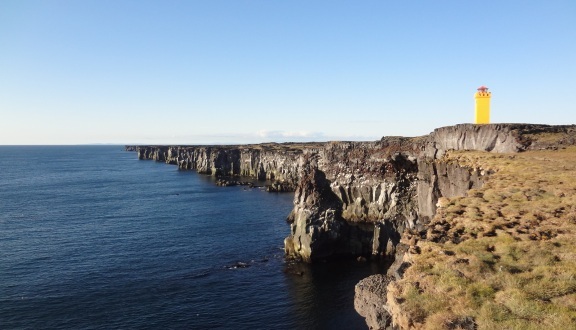 As you continue to your next accommodation in Eglisstadir, stop over in the southern village of the East Fjords, Difiogor, and watch the summer colony of puffins and other seabirds. Today's visits will include the most powerful waterfall in Europe, Dettifoss Waterfall, and Lake Myvatn. Explore the Myvatn area and take in the breathtaking scenery. 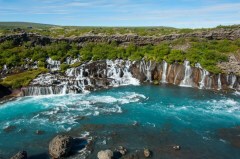 Around the lake, you will find popular sites such as the Dimmuborgir Reservation, Hverfjall Volcano and Krafla Volcano. In the evening, you will check into your hotel in the Myvatn/Husavik area. The day will begin with a visit to the world's capital city of whale watching - Husavik. Visit the museum of Whales and learn more about the history of the whale anatomy. You can also choose to join a whale watching cruise to see these beautiful creatures in their natural environment. In the afternoon, stop over at Godafoss Waterfall and then head towards Akureyri. What is most distinct about Akureyri is its warm climate, despite being only 60km south of the Arctic circle. Take your time to visit the botanical gardens and the art galleries around town. Later, continue to Skagafjordur and visit the Icelandic horses that reside there before checking in to your hotel. 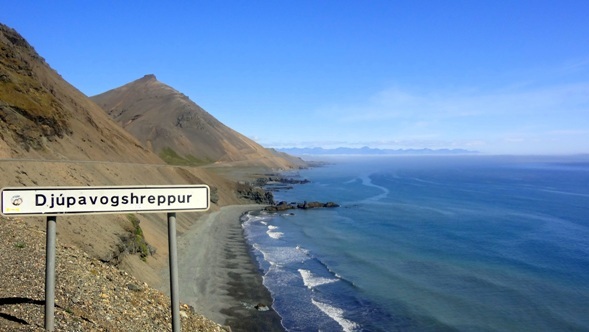 After breakfast, take off towards the Northern Coast of the Snaefellsnes Peninsula towards Stykkisholmur, the center of services and commerce. Enter Snaefellsjokull National Park and explore its many interesting geological sites. Afterwards, stroll along the Snaefellsjokull volcano and see the glow of the iceberg at its head. Tonight's accommodation will be in the Snaefellsnes region. Today, you will stop at Deildartunguhver and enjoy a relaxing swim in the largest hot springs site in Europe. Located nearby, is the historical site of Reykholt where you can visit the museum and the geothermal hotspring called Snorralaug. Later on, stop over at the waterfalls Hraunfossar and Barnafoss. Continue towards Thingvellir National Park, and discover its unique wonders that earned its title as one of the UNESCO World Heritage Sites. Arrive in Reykjavik city tonight and spend the evening at your leisure. Start the day at Geysir Park and watch the steam jet busting into the sky every few minutes. Continue to the waterfalls Gullifoss and Faxi. Cross the Hellisheidi Hill again and stop at the picturesque Blue Lagoon. Don't miss out on the opportunity to swim in the unique and warm mineral-rich water. Soak in the memories that you've made in Iceland as you return to Reykjavik for one final night.